That comment, overheard at a recent marketing conference, underscores the huge content marketing challenges and frustrations we now face every day. And as the graph clearly reflects, that number is still on the rise and shows no signs of slowing down. If your only counter strategy is to create more content on a daily basis, you’ve already lost. 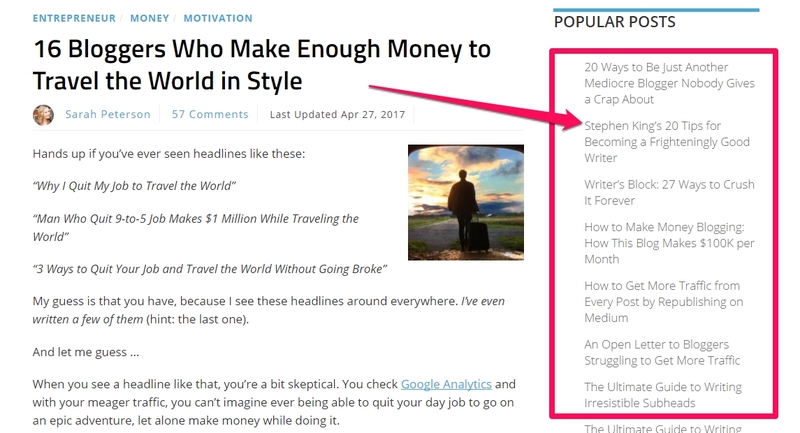 As a small business with limited resources, do you honestly believe you can compete with the bigger publishers churning out dozens of new articles every day? You can’t beat the bigger players in terms of publishing frequency. 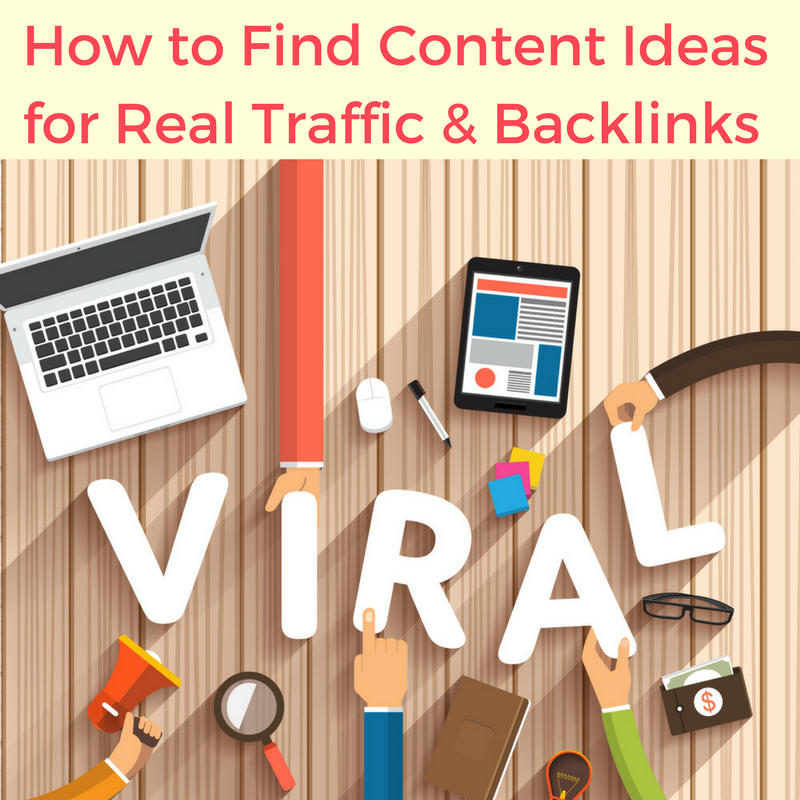 But you can take the smarter route and create content topics guaranteed to attract lots of visitors, backlinks and social shares. Using this approach, you can reduce your publishing frequency (and the associated costs) and focus on creating better quality content without exhausting yourself. 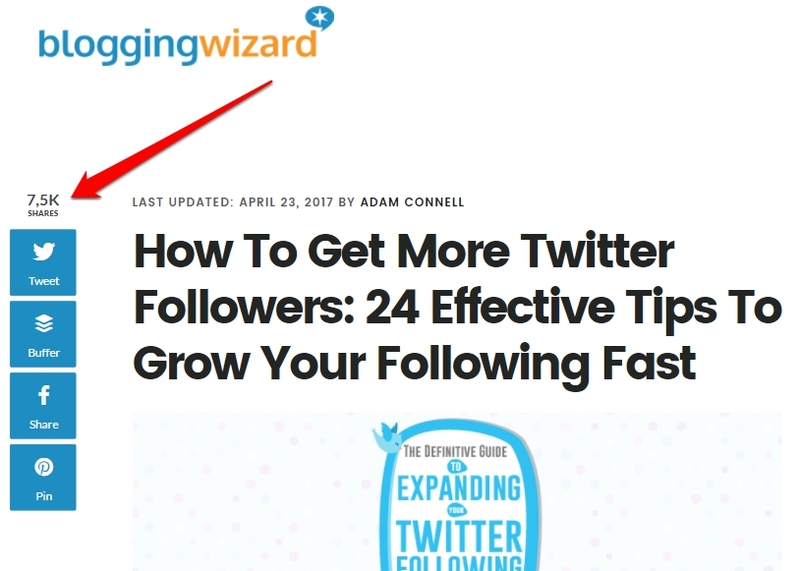 In this post, Upward Media will show you exactly how to find engaging content ideas for your blog. Google has answers for most questions. And since we’re trying to come up with ideas that have a higher probability of generating traffic, why not start our search from the search giant itself. When you start typing a query in Google’s search box, it shows you several other closely related search terms. These searches don’t pop up randomly. They’re generated based on the other frequent and popular searches related to your search. In simple words, these are the topics people are looking for. And you can use them to get an idea of what your audience wants. For example, if your company offers weight loss products and you’re looking to generate content ideas for your blog, the snapshot above should serve as a guideline. 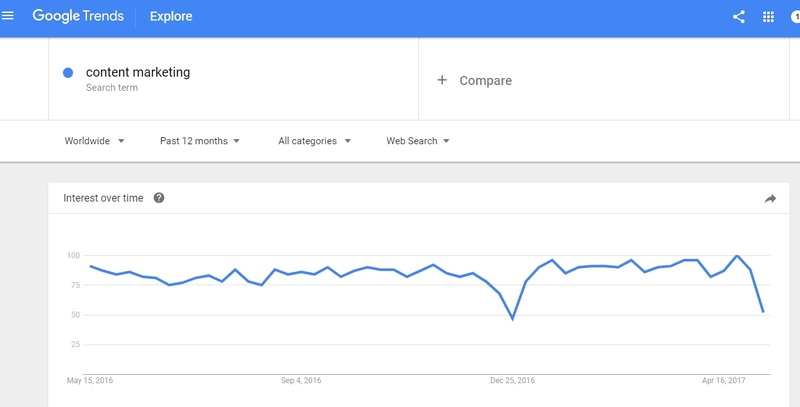 Google Trends is a goldmine for marketers and bloggers. It gives you a clear picture of what people are searching for on the web. You can enter a topic or a keyword and it’ll tell you if people are interested in it. It also gives you a list of related topics and keywords that people interested in “Content Marketing” are searching for. You can generate dozens of blogging ides from Google Trends in no time. You can use these to understand what your audience wants to learn, and tailor your content accordingly. Why reinvent the wheel when your competitor’s have already done the hard work for you? You can find lots of great content ideas just by analyzing the most popular and successful content of your competitors. Find 4-5 competing blogs and analyze the top 10 posts on each of them. You can expand this list to view up to 10 results in the free version of SEMRush. But that’s more than enough. You’ll have a list of 40-50 titles that are proven to work well. You could use the popular topics to get an idea of what your audience really wants to learn about and then create titles based on your understanding. You can break down the popular posts into separate and much more detailed posts. For example, if a post shares 10 methods to something, you can break it down and create 10 separate posts explaining each method in much more detail. 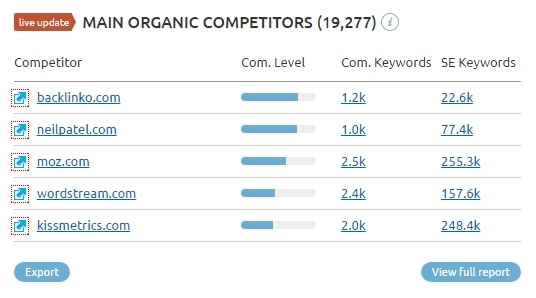 Competitor analysis is one of my favorite ways to find blogging ideas because it works on a proven formula. 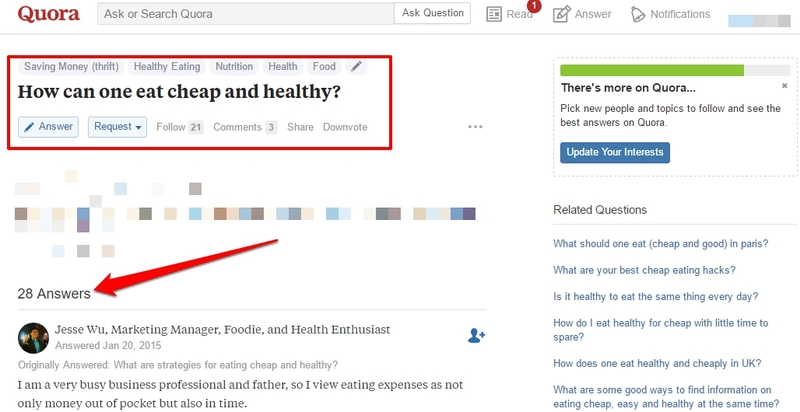 Quora is a great place to find popular topics for blog posts. There are thousands of discussion threads on Quora where people ask questions related to almost everything under the sky. These are the topics that generate the highest interest in your target audience. You can also analyze the answers for the most popular questions to understand the kind of content your target audience likes. You can gather all this information, add more value and publish on your blog. 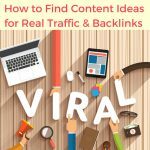 One of the best ways to come up with proven topics is by finding the posts that already have a lot of social media shares and backlinks. You can do this manually by searching Twitter and Facebook with your main keyword and see which posts come up at the top. Most blogs also display the number of social shares on a blog post which can be used to get an idea of its popularity. However, doing this manually is a time-consuming process. Save time by using tools like BuzzSumo and Ahrefs. We then sorted the list by the number of referring domains, which gave us the posts with the most number of backlinks. When a post has a higher number of backlinks (along with a lot social shares) it’s a strong indicator of its quality and shows that people found it useful. You can list down all such posts in a separate sheet, analyze them one by one and see how you can create an improved version of that content. It also gives you a strong understanding of the kind of titles that are popular with your target audience. Amazon is the world’s largest eCommere website. But it also has the biggest collect of eBooks on the web. In fact, some of the most popular books ever published were all listed on Amazon first. Once again this is a goldmine if you’re looking for blogging ideas. 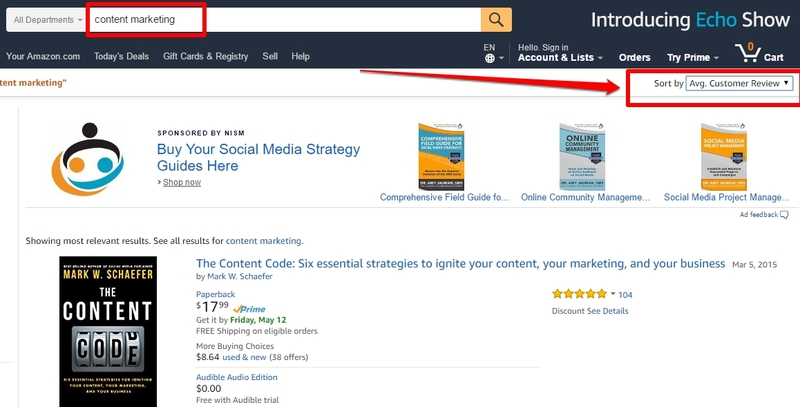 Go to the category related to your industry in the books section of Amazon, search for one of your main keywords and sort the results by the most number of reviews. This will show you the most popular books related to your industry. Look at the titles of the books and read their descriptions to understand what they’re about. This can alone give you lots of blog post ideas. Read the reviews under each book to understand why the readers liked the book. Also look at the negative reviews to identify the things that the author failed to address. Note down everything in a separate sheet and use these insights to come up with titles that not only give the readers what they want but also make up for the knowledge gap left by the author. Have you heard of Udemy? It’s one of the world’s largest collections of video tutorials on hundreds of topics. 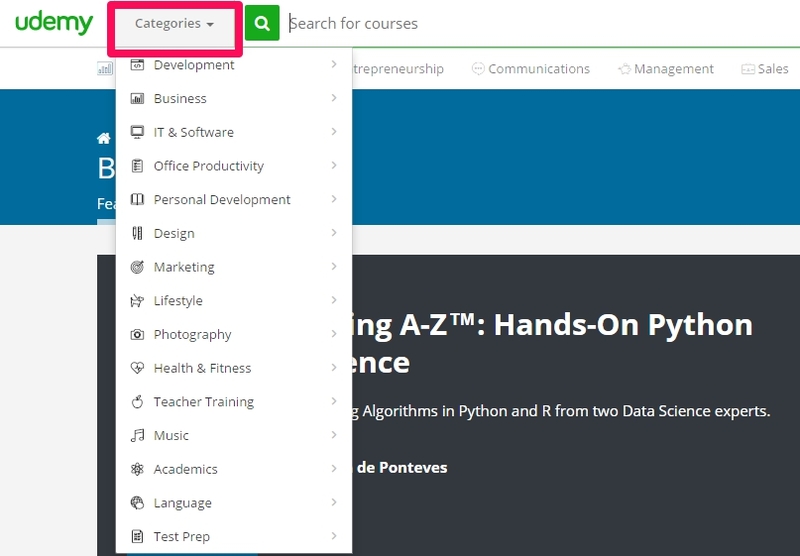 Choose the category that’s most relevant to your industry and look for the most popular courses in it. For example, we searched for productivity courses and sorted the results by popularity. Just looking at the list of courses and their titles will give you lot of insights about the topics you can write on. But Udemy gives you more. It requires every course to be broken down into smaller chapters and modules. 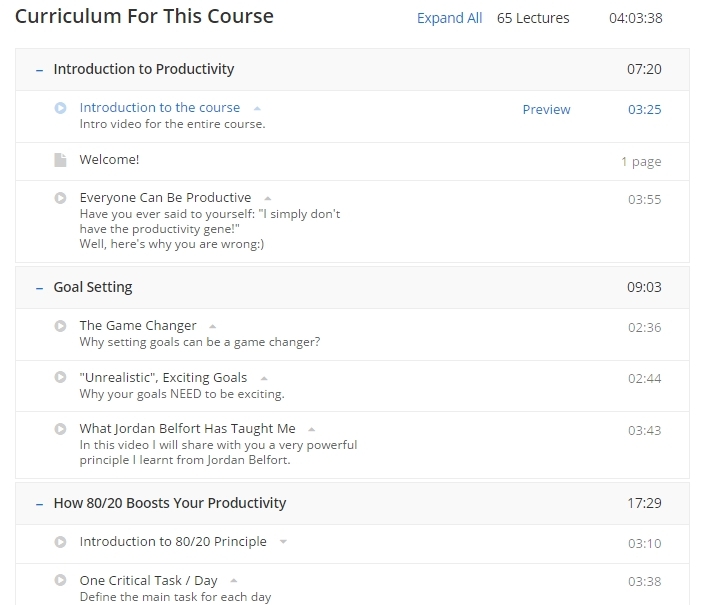 The list of modules for every video is displayed on the course enrollment page. Are you getting any pointers from this? Each of these headlines can be converted into separate blog posts. And since it’s an extremely popular course, you know that each of these points will resonate well with your target audience. You can find even more detailed course outlines for some of the other courses on Udemy. There’s so much data and content available on the web that you really don’t need any guesswork when coming up with new ideas for your blog. You only need to look around, find the content that’s already performing well and create a more valuable and useful version on your blog. This way you’ll not only deliver more value to your audience but also save valuable resources for your company.